It measures up to a blood alcohol level of 0.2% - above that and you probably won't be able to walk. 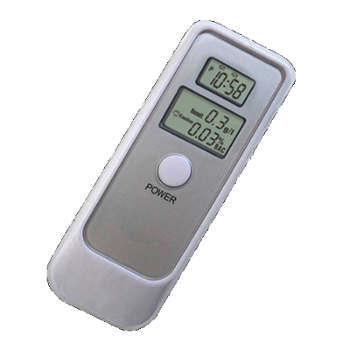 Response time is less than 8 seconds - all you do is wait about 10 seconds then blow into the sensor to give a reading in blood alcohol percentage or mg/litre. Requires 2 x AAA batteries not included. Compact purse or glove box size. Who needs to spend hundreds of dollars on a much larger alcohol breath tester? This product is intended to give an indicative reading only.